Last night the Arctic Monkeys performed in Lyon, France, and they took the opportunity to cover Elvis Costello’s song “Lipstick Vogue,” from his 1978 album This Year’s Model. Lead Monkey Alex Turner offered a brief dedication to Costello, telling the crowd, “Merci beaucoup—let’s hear it for Elvis Costello.” The legendary songwriter recently canceled several European tour dates after revealing that he underwent surgery to remove a “small but very aggressive cancerous malignancy.” This is not Turner’s first time performing the song; in 2011 he sang it on stage with Costello himself. 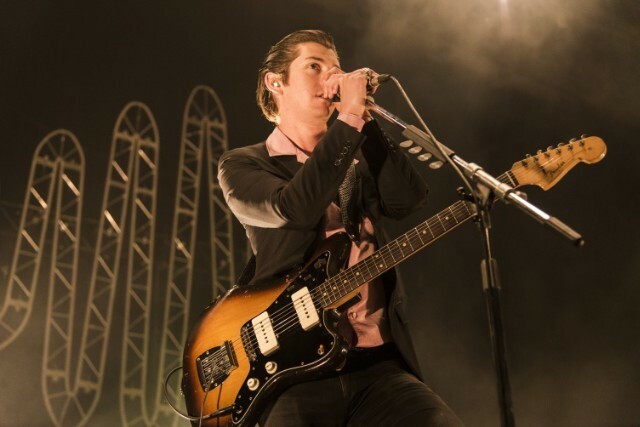 The Arctic Monkeys are currently touring in support of their recent album Tranquility Base Hotel & Casino. Watch them play “Lipstick Vogue” below.